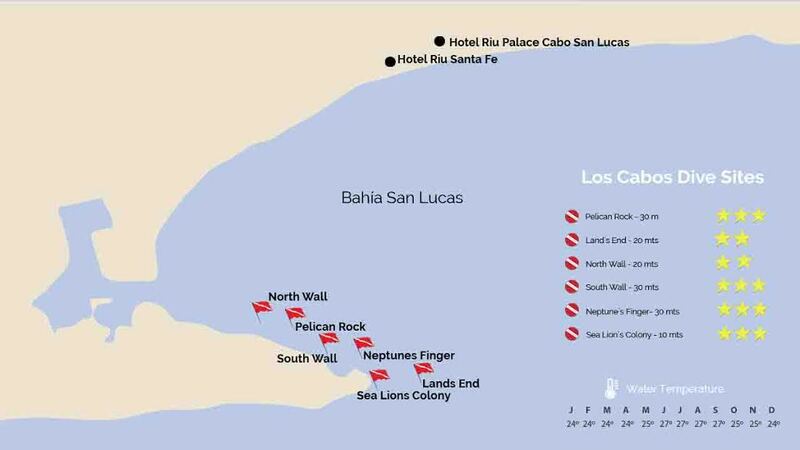 Diving in the Sea of Cortez is an unforgettable experience with shipwrecks, caves, reefs, and sand falls to explore. The wide variety of marine life and prime conditions make diving trips perfect for those seeking adventure travel. Where you go depends on your expertise. Snorkeling tours are perfect for surveying the underwater world with minimal equipment and training. 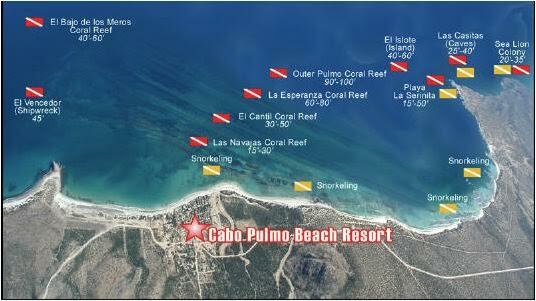 Diving conditions are great all year. June to December offers the greatest visibility, warmest water and longest periods of calm weather. 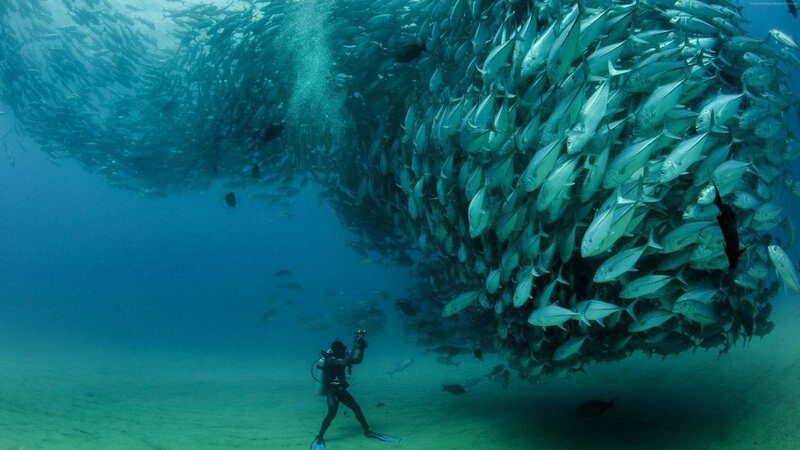 Visibility can exceed 100 feet, and the temperature averages between 78 and 85 F.
Cabo San Lucas, East Cape & Cabo Pulmo is located at the southern tip and up north along the East Cape of the Baja Peninsula, where the Sea of Cortez meets the Pacific Ocean, and the desert and sea create an area of unspoiled natural beauty. 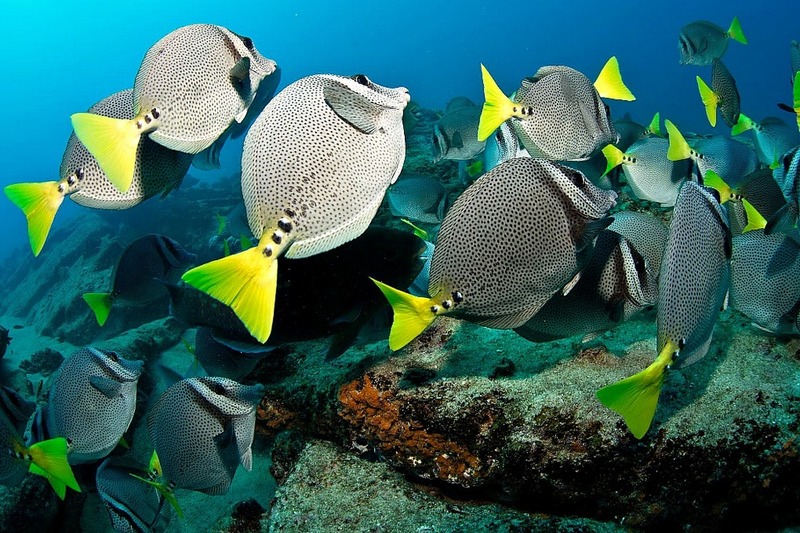 Described by Jacques Cousteau as "one the richest seas of the world," this area is among the top places to dive worldwide—you'll be awed by the amount and variety of marine life you'll encounter here, from tropical fish to manta rays and whale sharks. There are hundreds of species of sea life, which combined with the spectacular underwater landscapes of cliffs and canyons will make for unforgettable dive experiences.